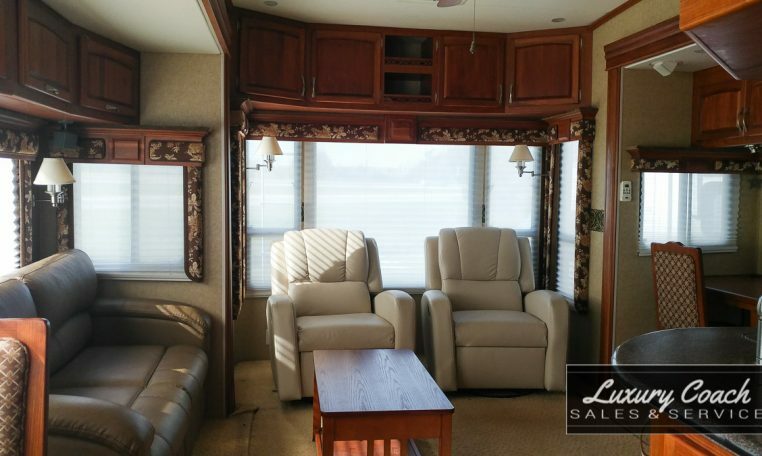 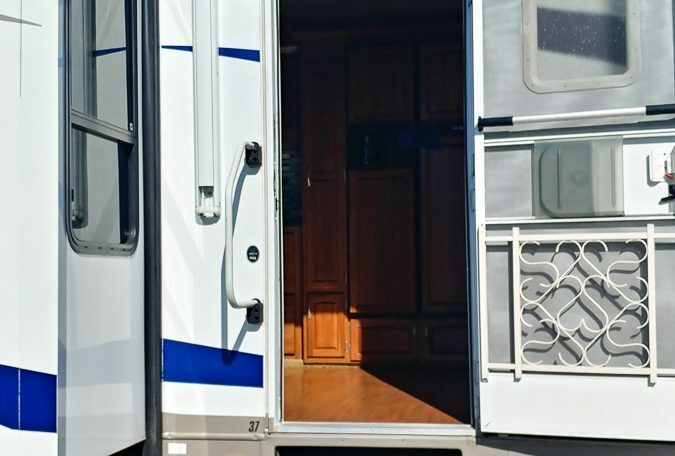 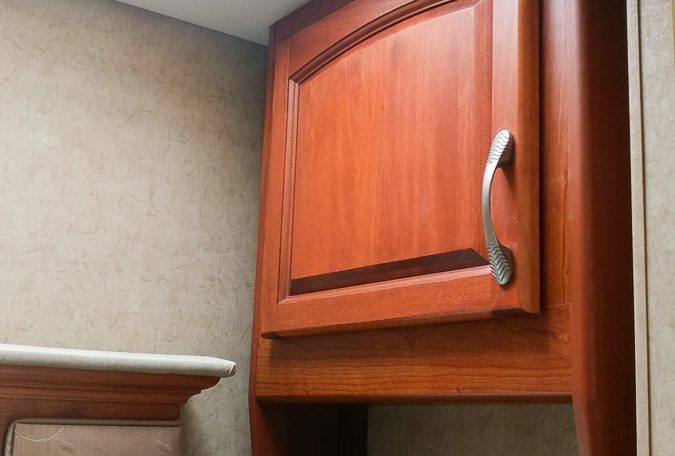 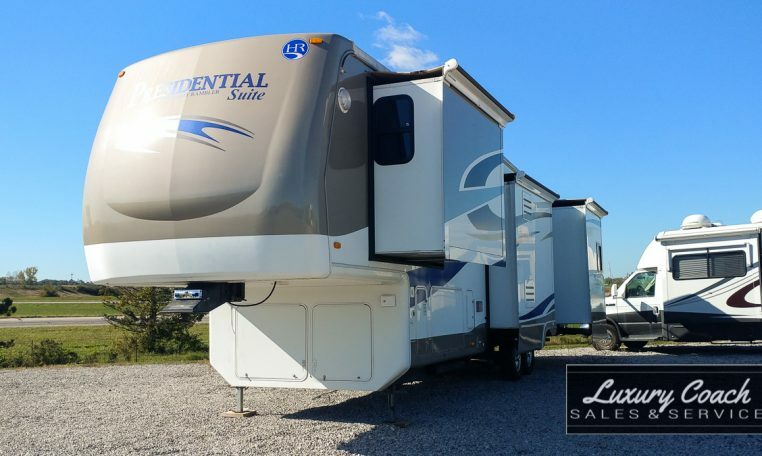 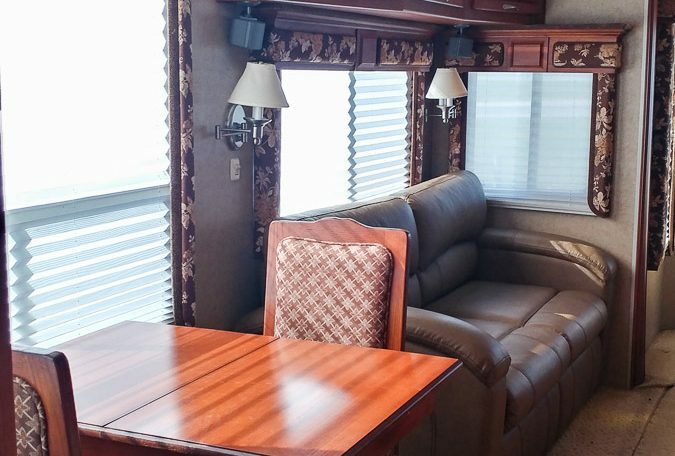 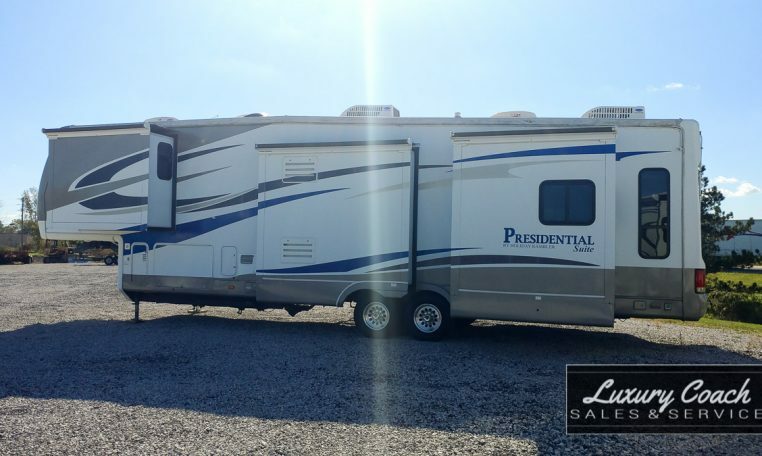 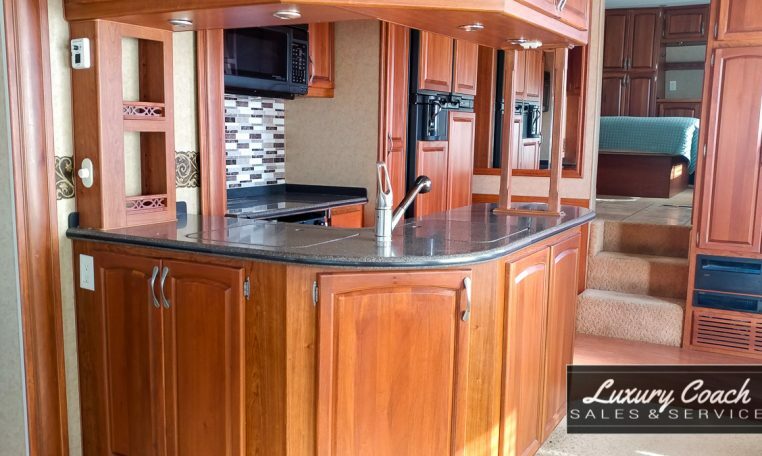 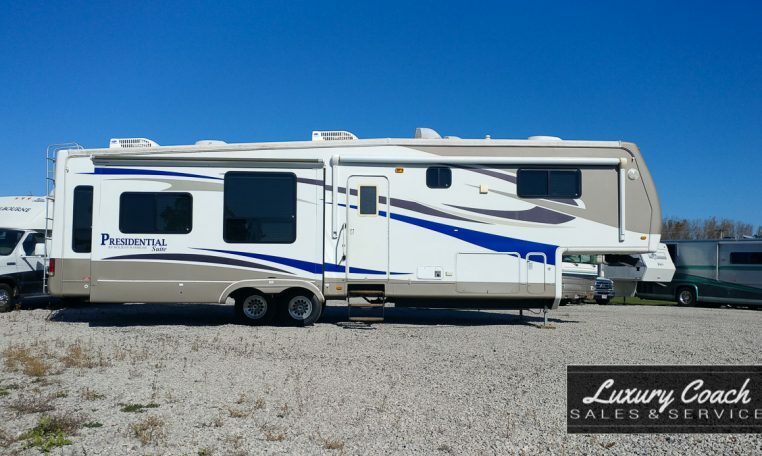 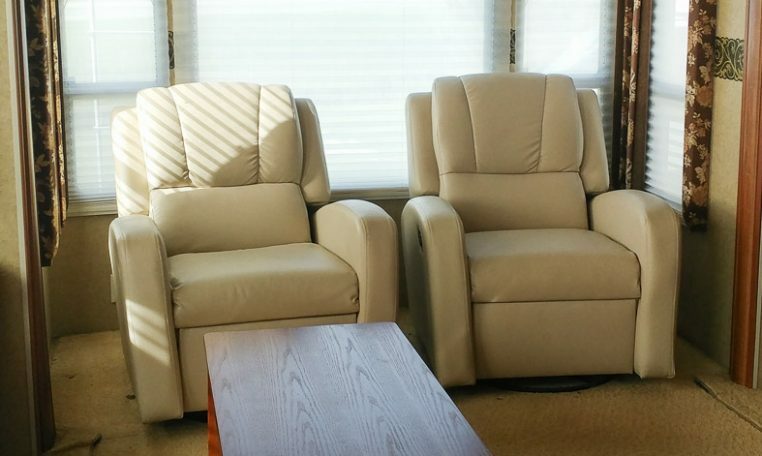 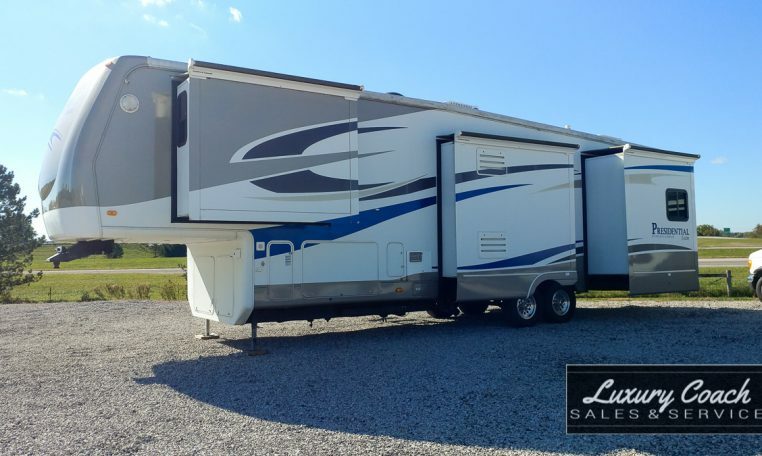 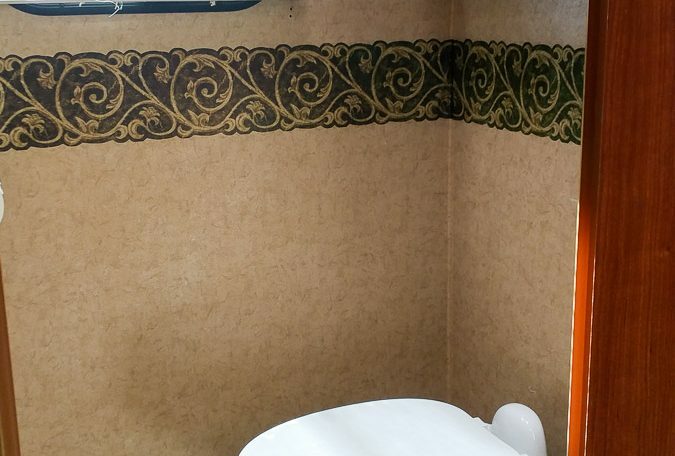 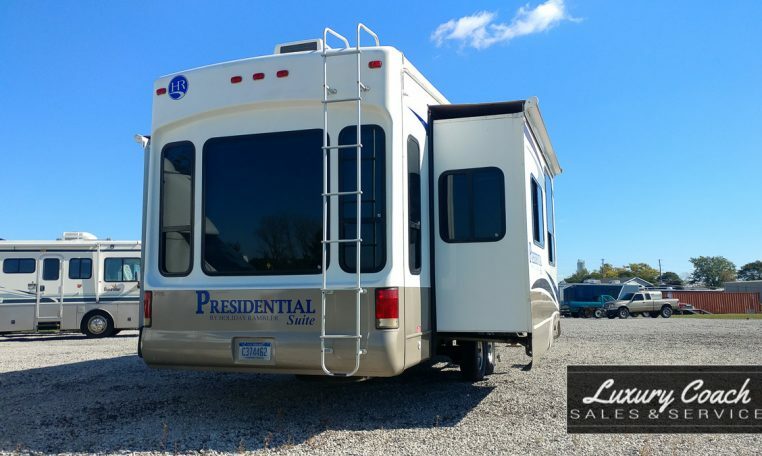 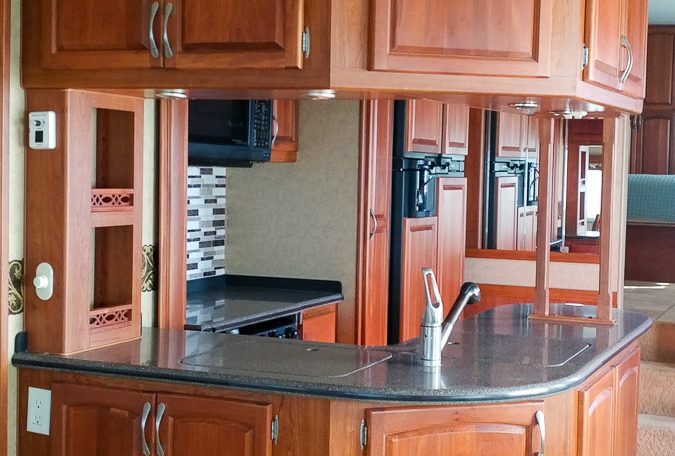 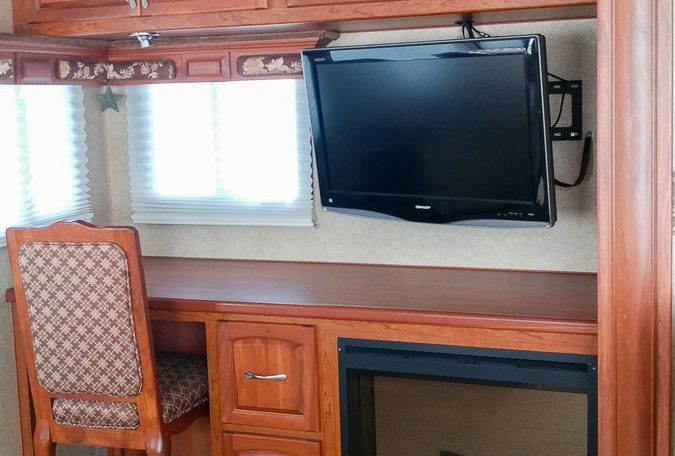 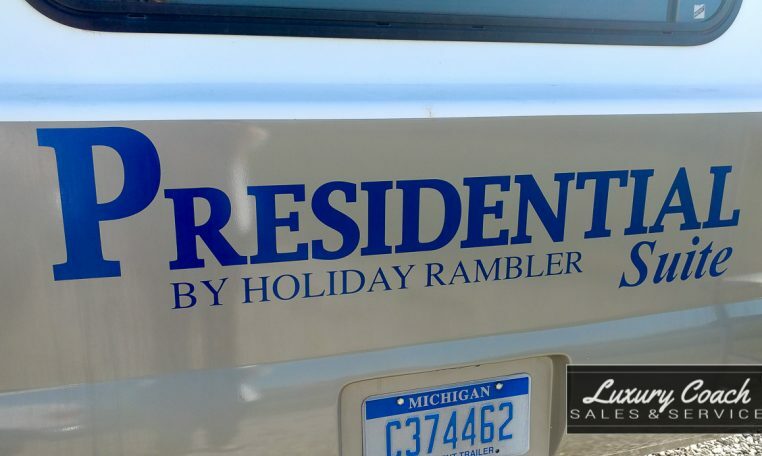 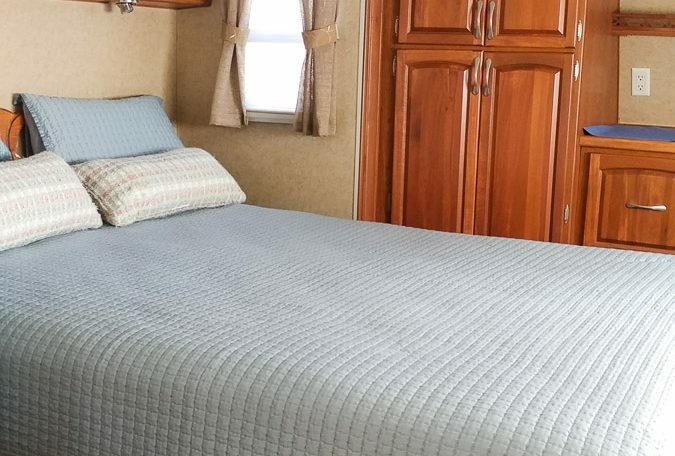 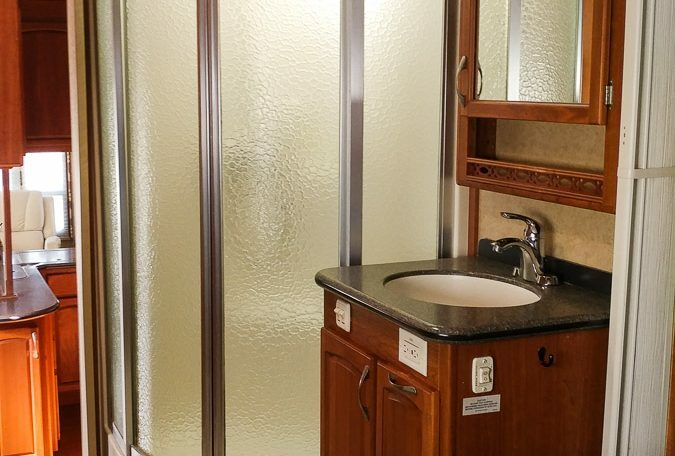 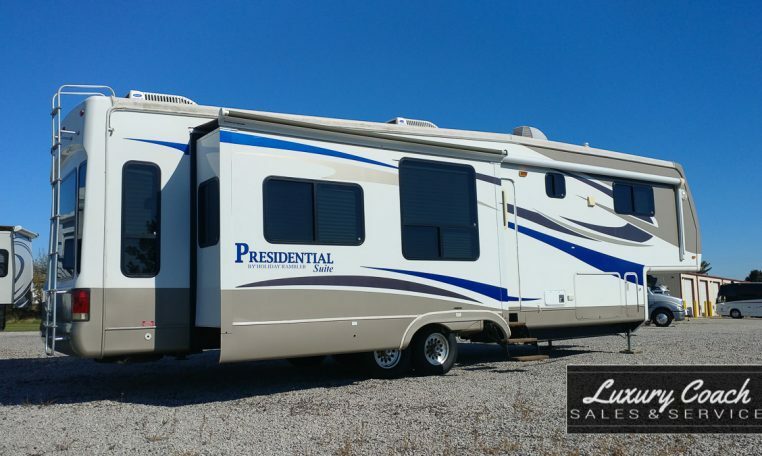 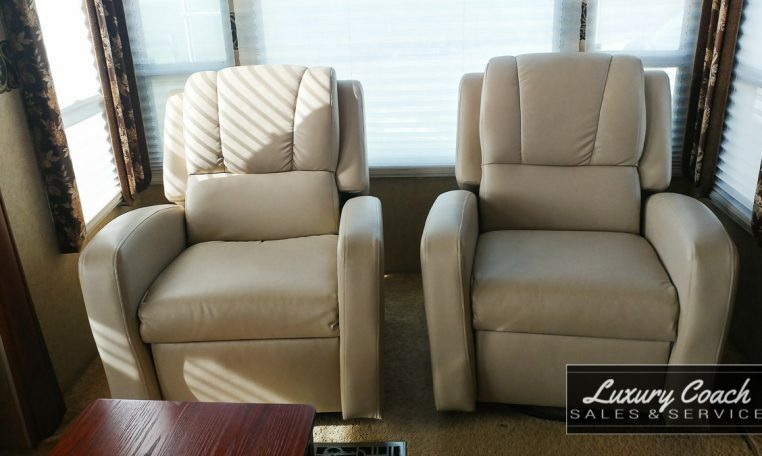 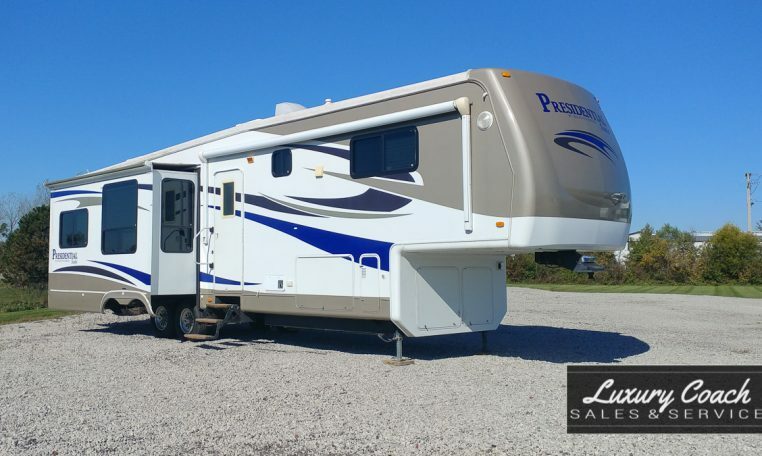 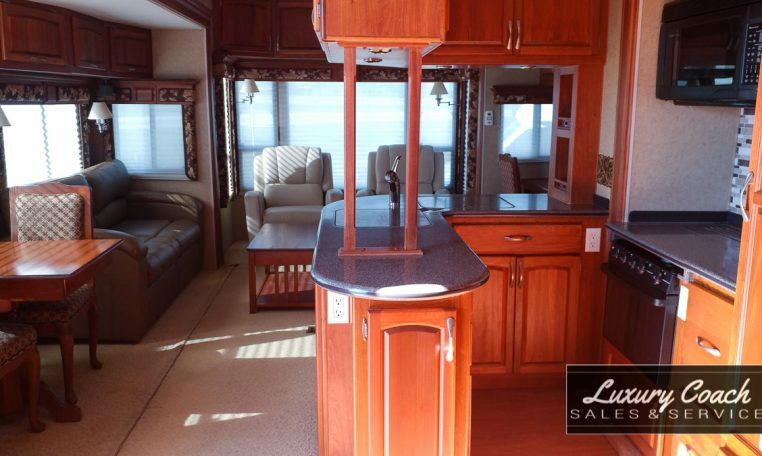 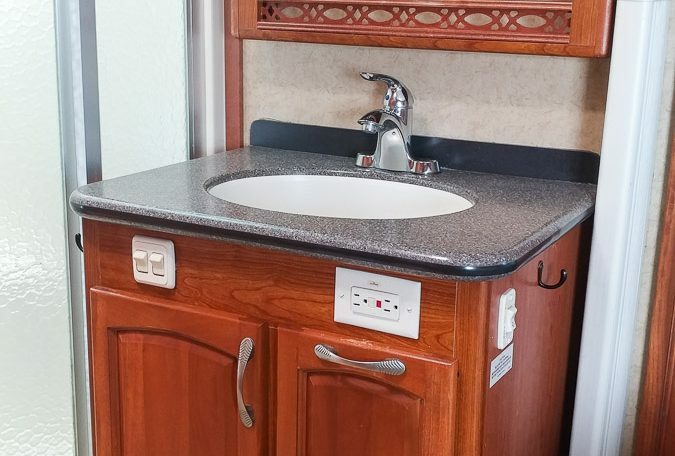 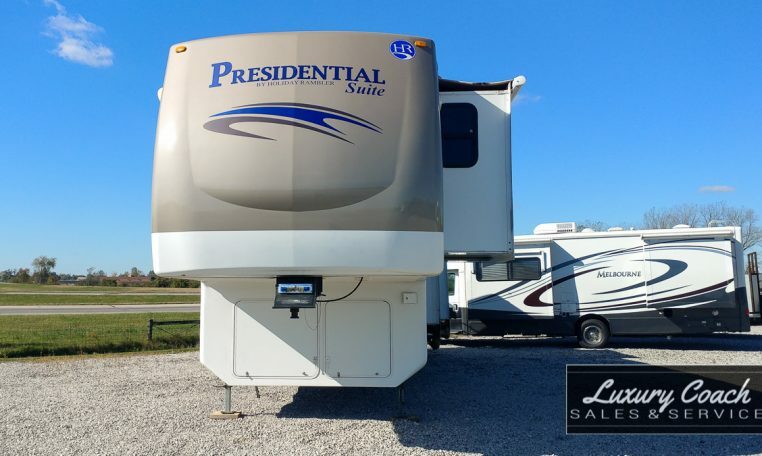 This 2008 Holiday Rambler Presidential Suite M-37SKQ is beautiful inside and out! 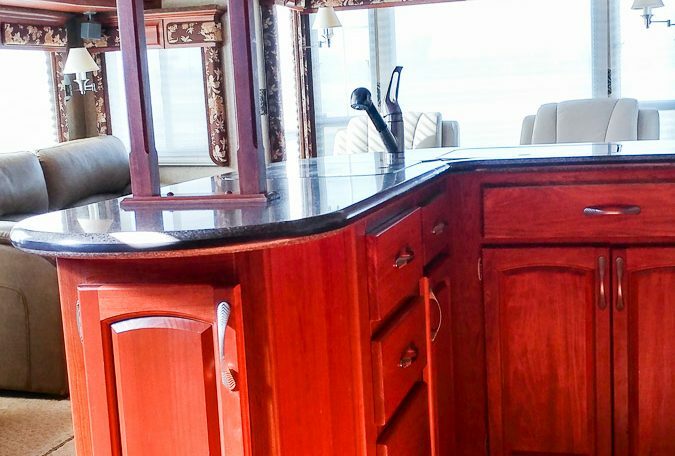 Attention to detail is evident in the woodworking and upholstery. 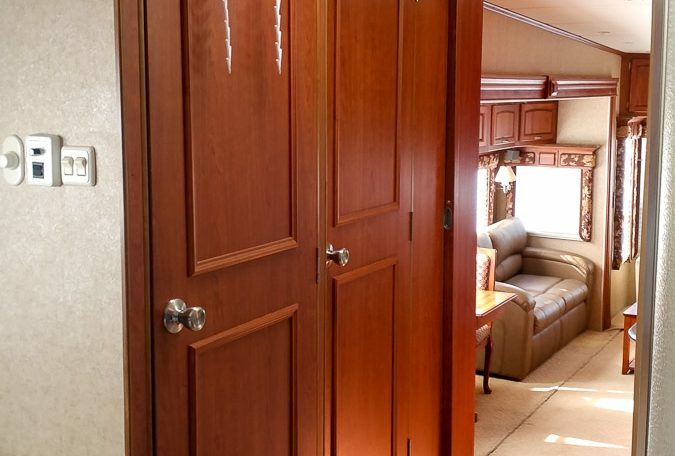 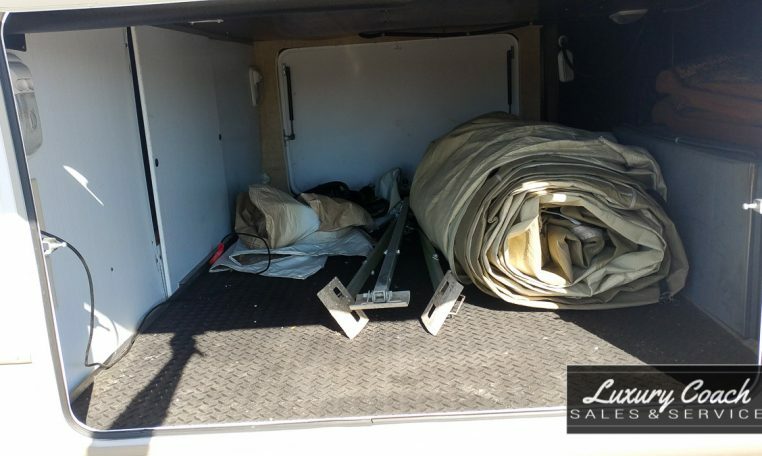 Rich details include beautiful wood detailing, fabric valances, day shades, and custom drapes. 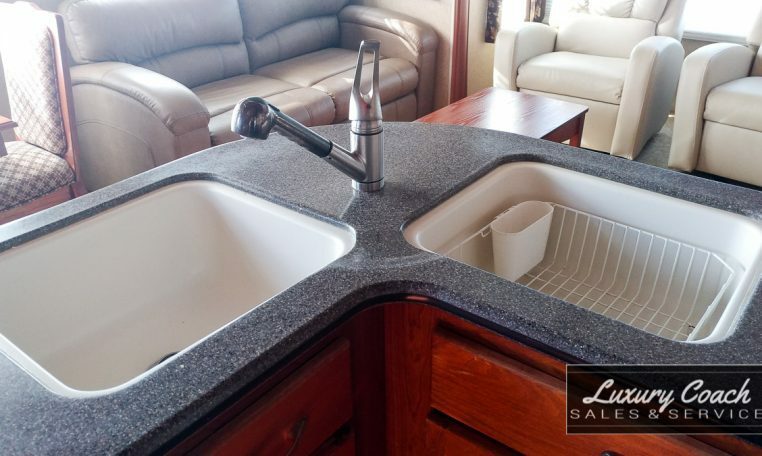 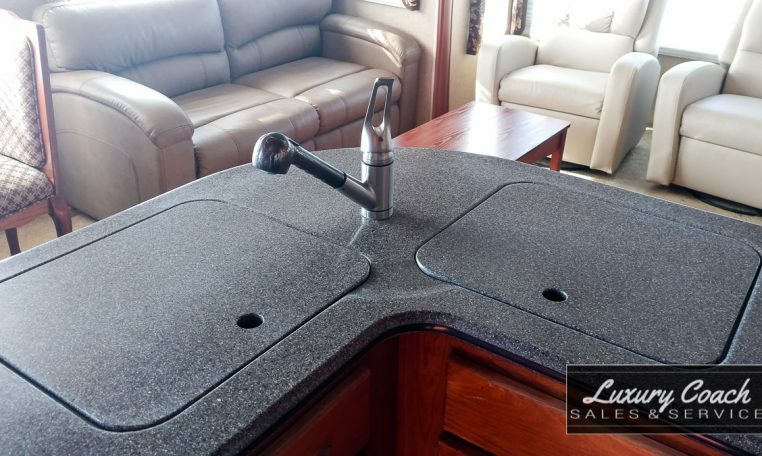 In the kitchen you’ll find a center island with a two-basin detached sink with center faucet and solid surface covers, overhead and under cabinet storage, and a solid surface counter. 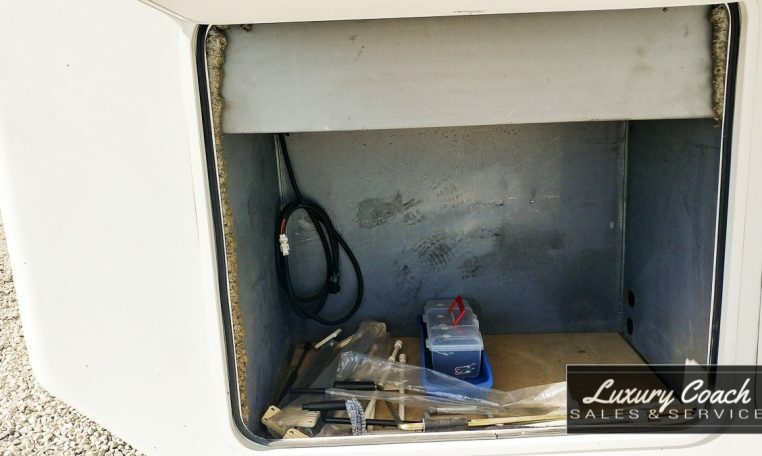 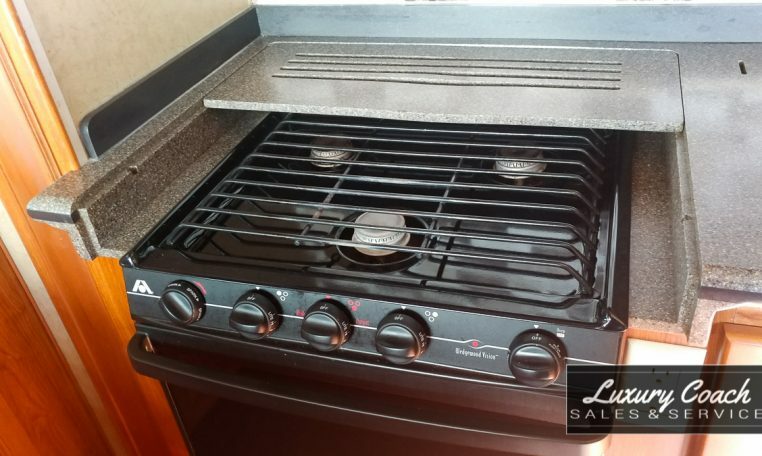 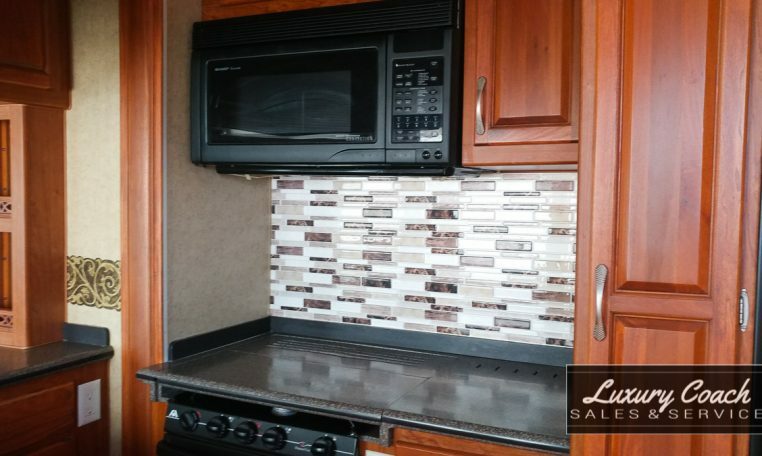 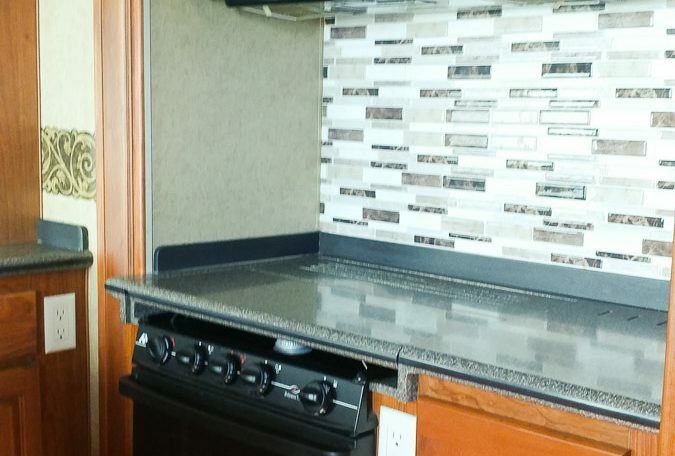 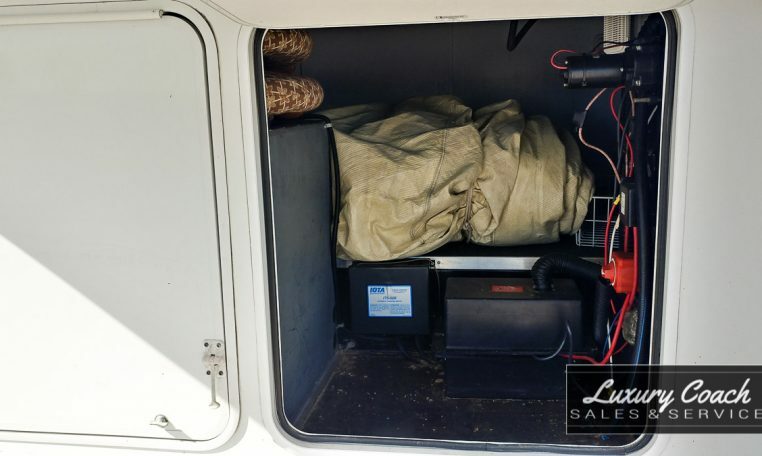 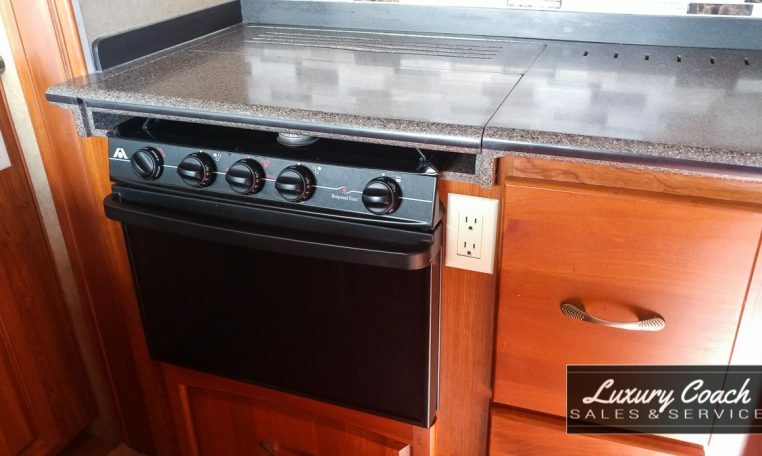 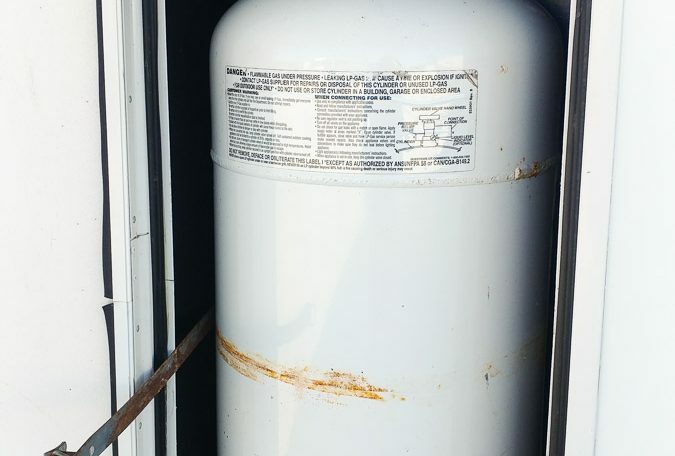 There is also a mid-size electric/propane refrigerator with icemaker, microwave/convection oven with under hood exhaust fan, 3-burner stove with cover, tile backsplash, and built-in oven with storage underneath. 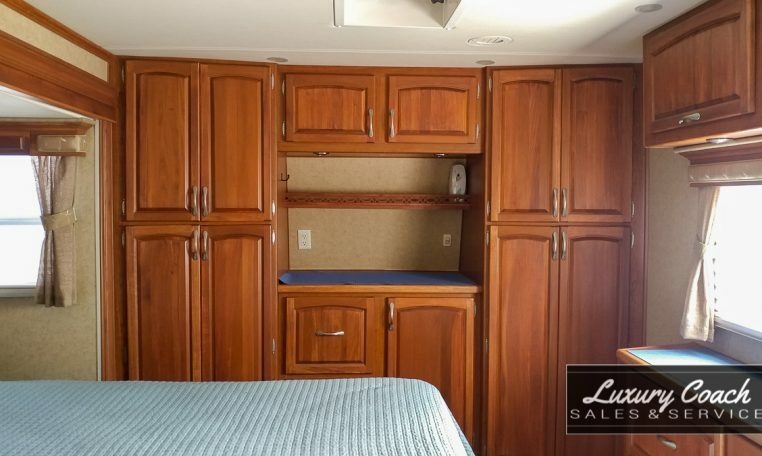 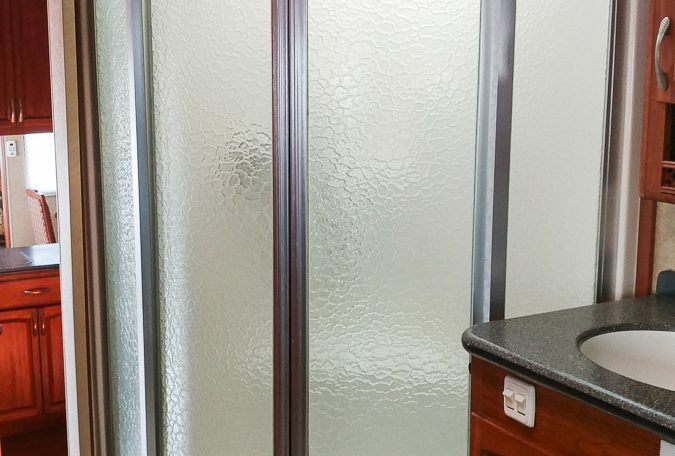 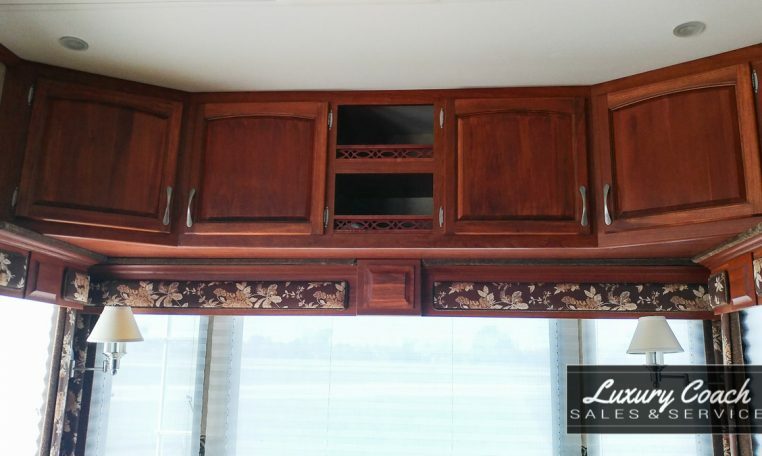 There’s also plenty of storage in this unit from front to back with overhead cabinets throughout and special features such as wall sconces with shades. 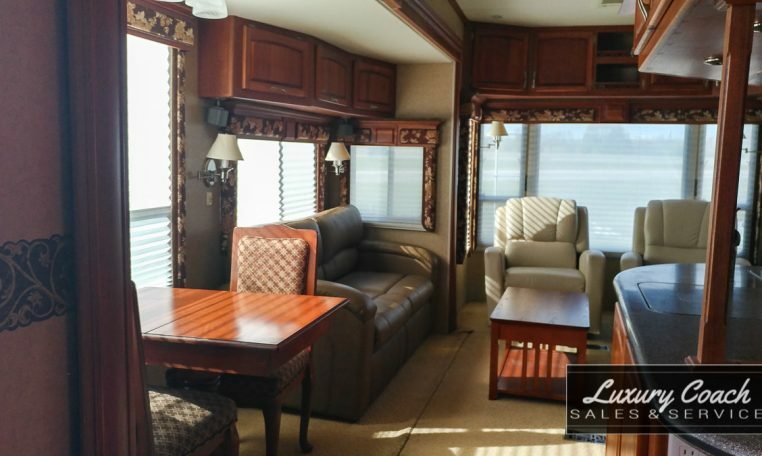 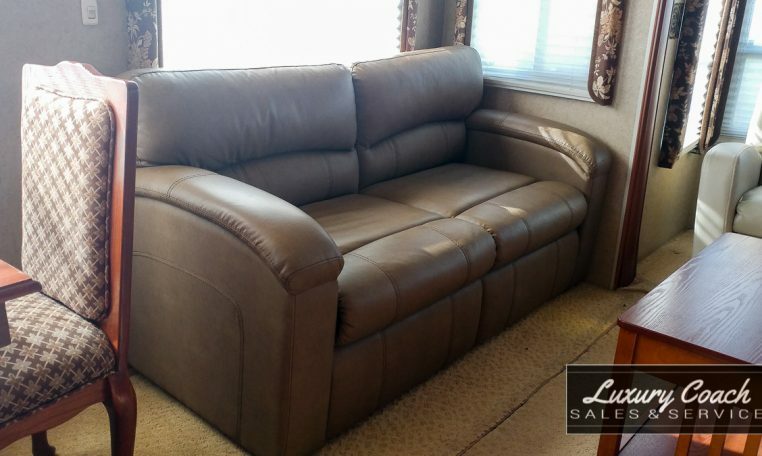 In the living area, there is a leather sleeper sofa, 2 leather recliners, coffee table, flat screen TV, desk/work area with chair, and an electric built-in fireplace. 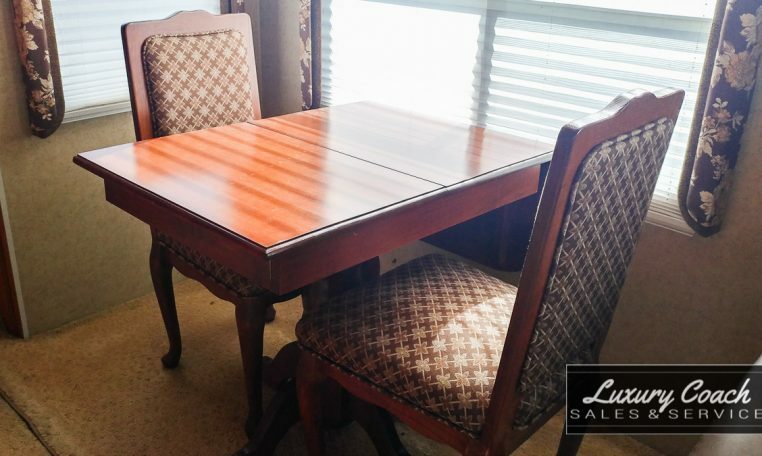 Eat comfortably at the free-standing dinette with four chairs. 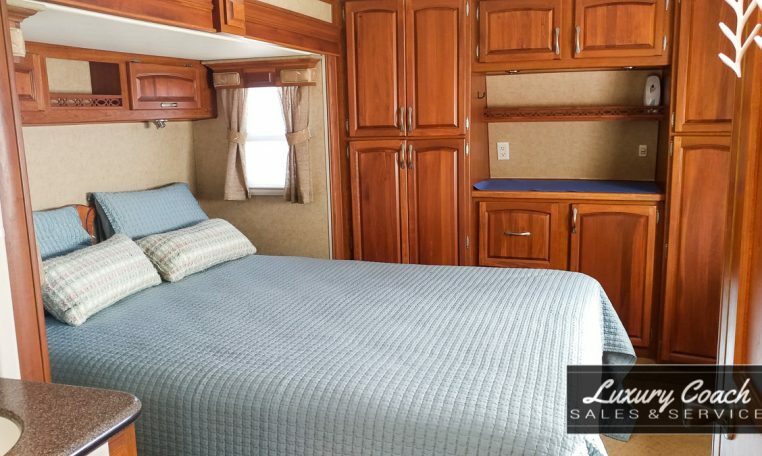 Located in the front of the unit is the bedroom with step-up access to a king-size bed with underbed storage, carpeting, wash closet with toilet and sink, large corner shower with glass doors, enclosed washer/dryer combo, plenty of storage throughout with closets and a vanity as well as a stand alone sink . 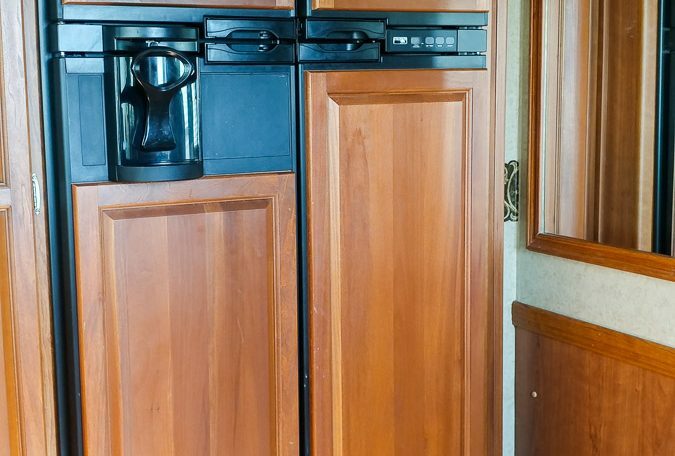 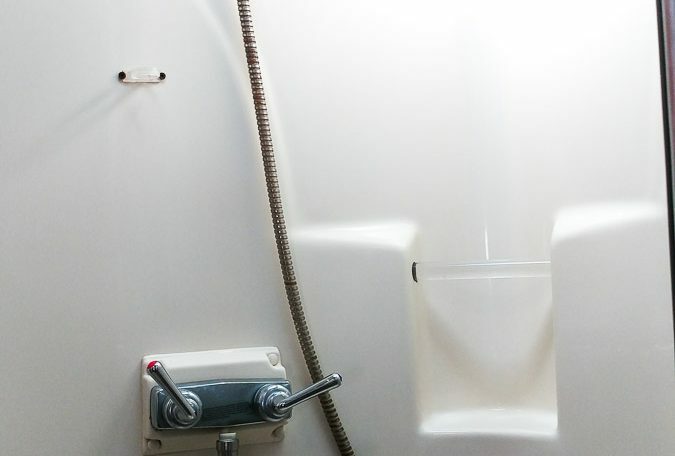 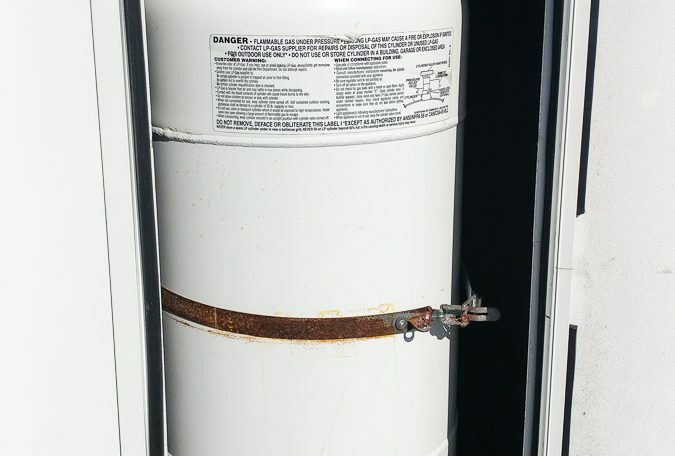 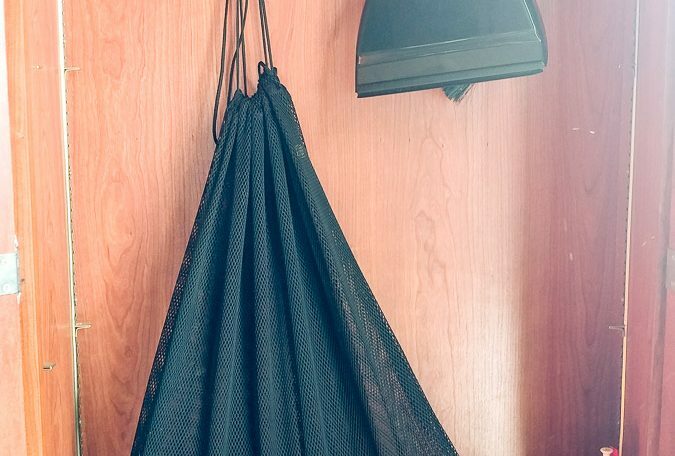 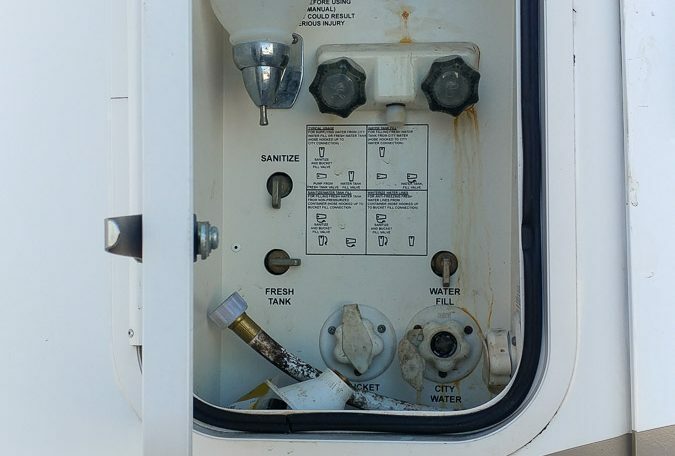 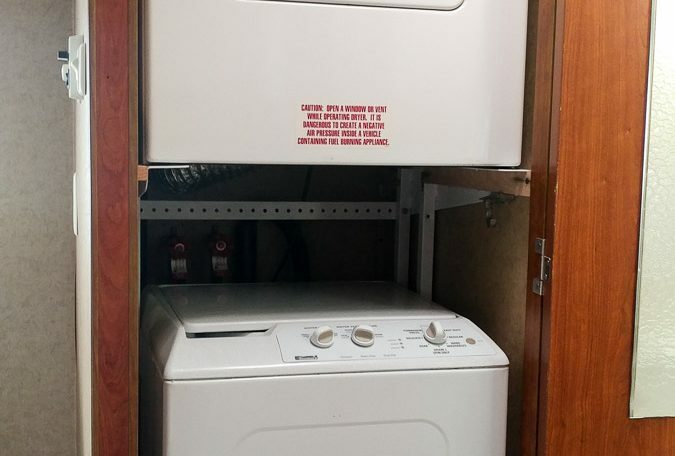 Other amenities include a central vac system, convenient central control panel, screen door, 3-step entry, and safety handle. 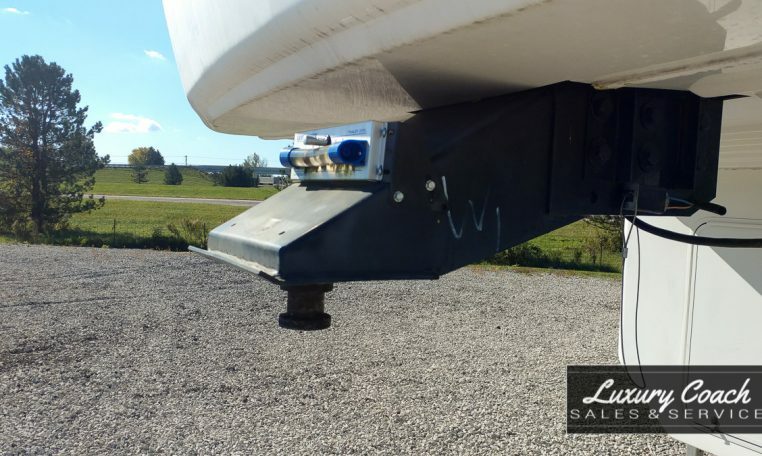 There are 2 axles with aluminum wheels, electric drum brakes, and front/rear manual leveling jacks.